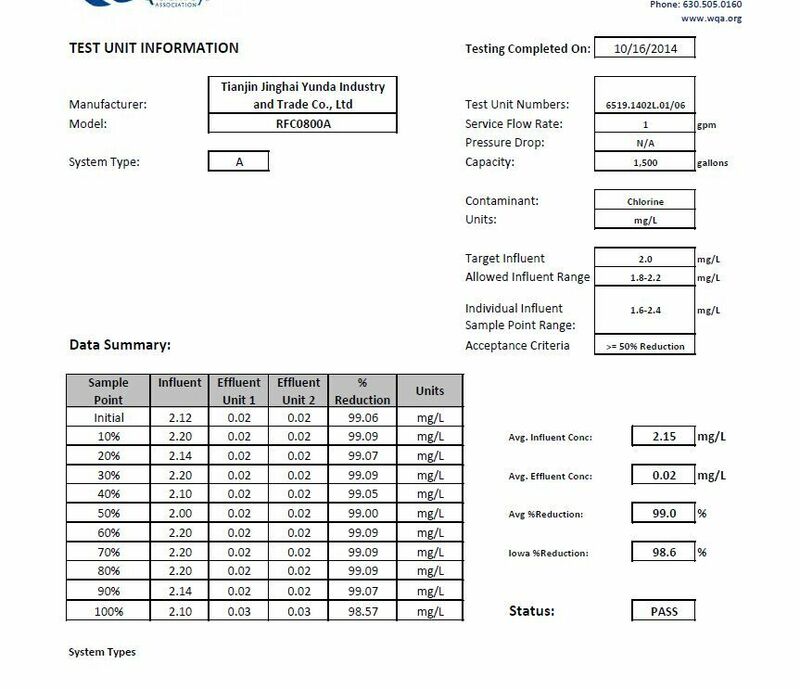 After having been tested to 1500G, the Chlorine Reduction is 98.57%, still much higher than the NSF42 standard which is 50%. 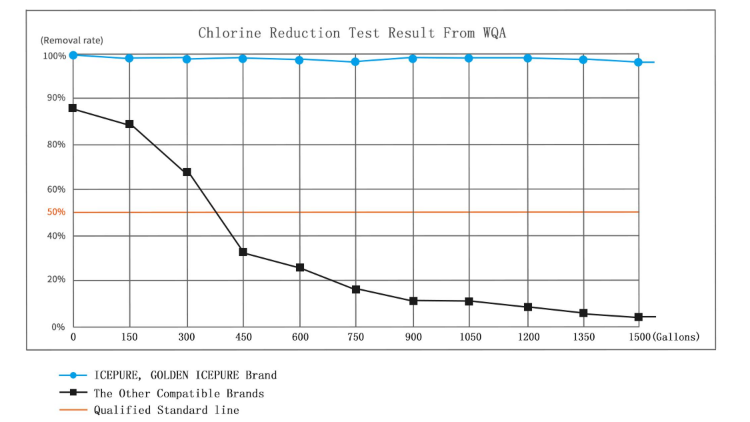 It means after using 1500G, the filter can be continuely used for Chlorine Reduction. 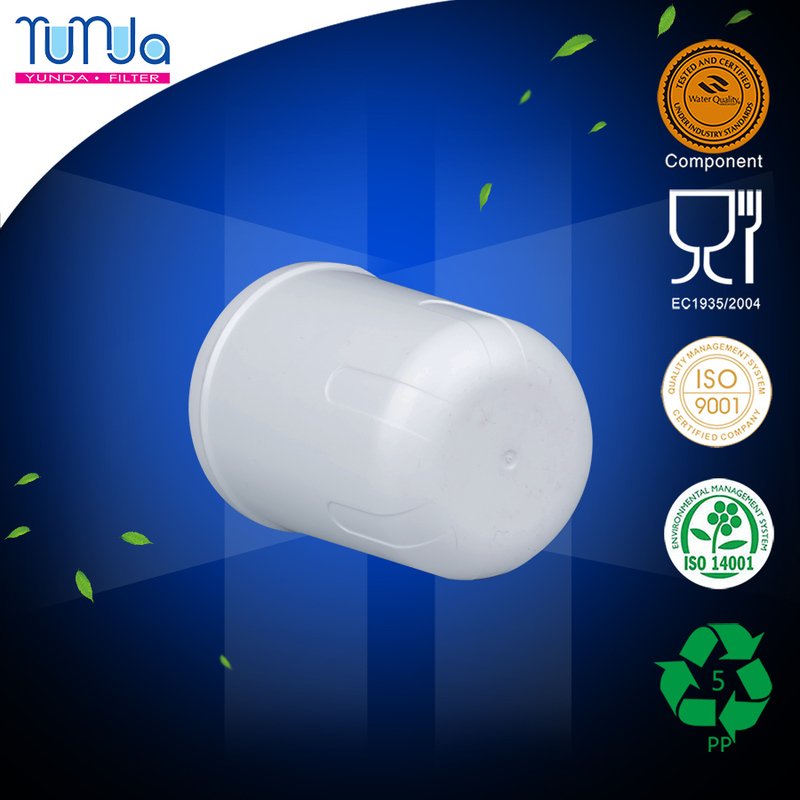 We strongly suggest that you should replace the filter every 6 months. 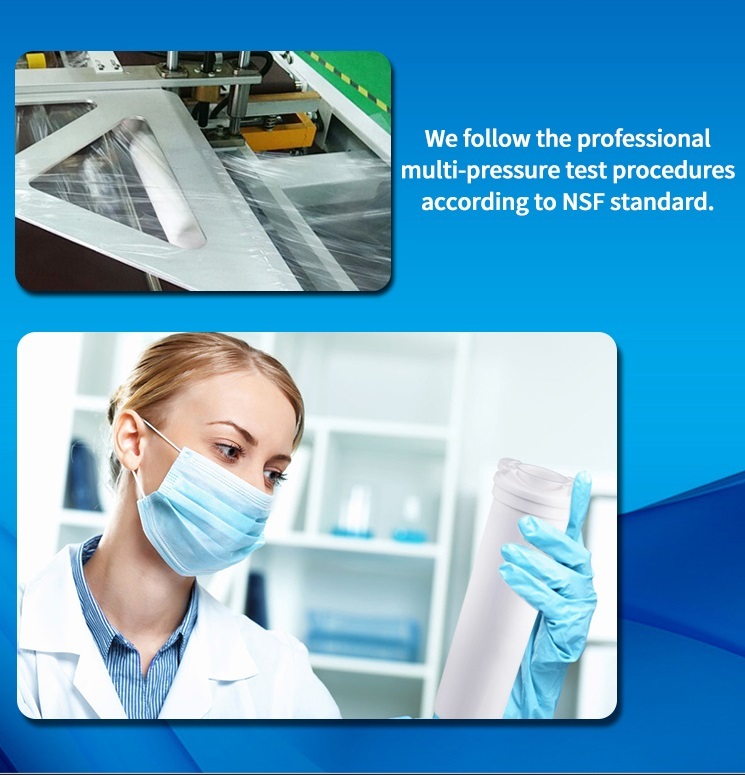 Our technicians can make all the basic tests for water filters in our lab.Yunda develop and launch new products every month. 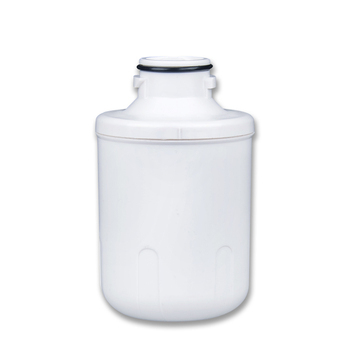 All YUNDA Refrigerator Water Filters are produced and assembled in the Dust-Free workshops. 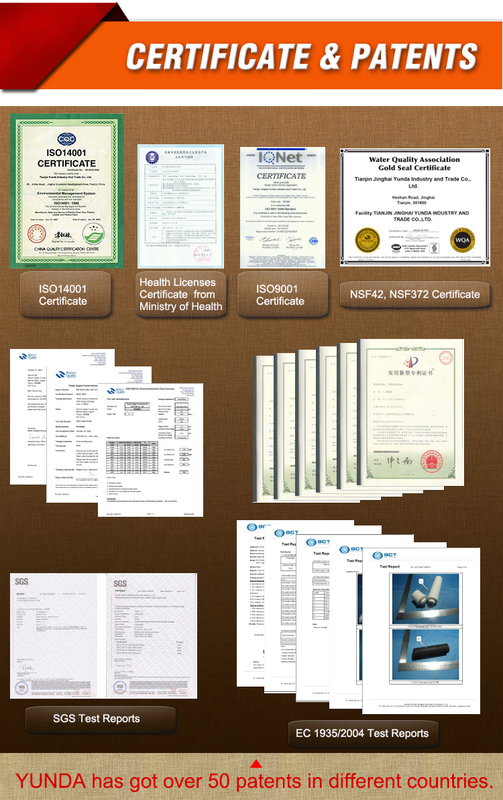 Every filter is tested online for the leakage and pressure resistance. There are 10 production lines. 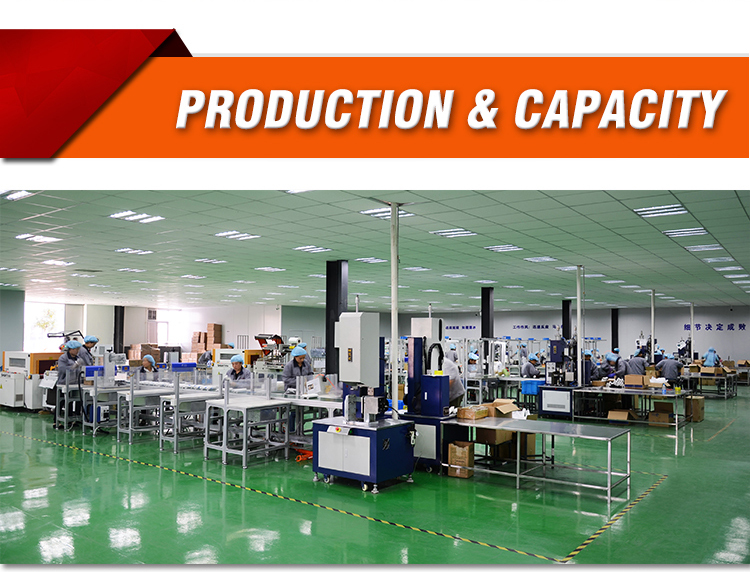 The capacity is 25000-30000 units per day. 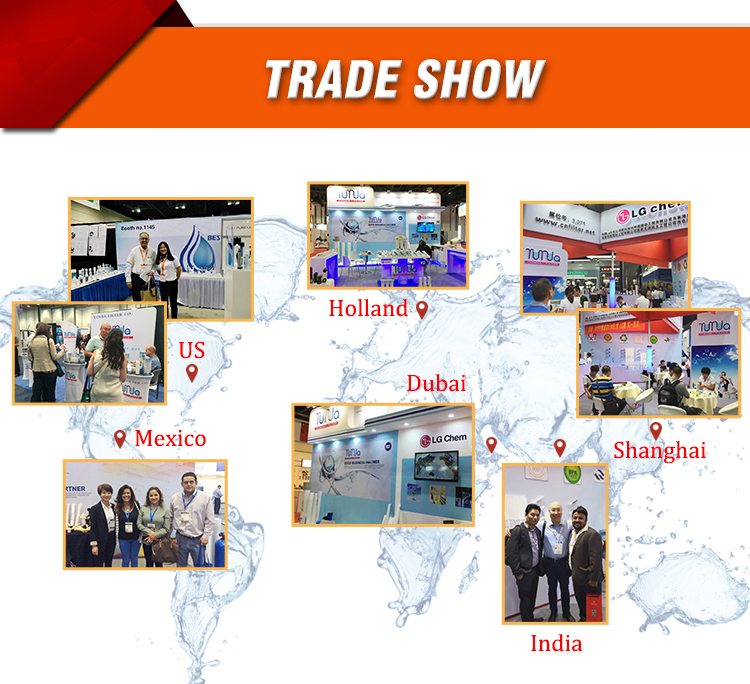 YUNDA attends all the major water purification trade shows in US,Europe,Dubai,India,Mexico,etc.